Learner will be able to work with different ANSYS analysis tools in workbench. Learner able to learn simulate engineering problems. Learner will be able to determine how a product will function with different specifications. Learner understand analyzing and solving complex mechanical problems. ANSYS workbench is the numerical type of engineering problem solving software. Used to simulate interactions of all disciplines of physics, structural, vibration, fluid dynamics, heat transfer and electromagnetic for engineers. •These course covers the mechanical analysis using ANSYS workbench. •Course is about to correlate the Lerner with actual engineering problems. •Able to make understand the problem definition and solve it. •Course is basically covers the interface to ANSYS workbench for mechanical preference. – Linear and nonlinear structural analyses. – Modal, harmonic, response spectrum, random vibration, flexible and rigid dynamics. – Solve for temperature field and heat flux. Temperature-dependent conductivity, convection, radiation and materials allowed. – Perform various magnetic field analyses. – Simulate electrical devices such as motors, solenoids, etc. •You will learn about what is finite element analysis and finite element methods. •You will learn about ANSYS workbench FEA numerical engineering problem solver. •Various meshing techniques and methods. •How to create a geometry using ANSYS modeler. •You will learn a step by step procedure to solve engineering problem using ANSYS workbench. •You will learn how to define a contacts and boundary conditions. •Able to do static structural analysis. •Able to do thermal analysis. •Able to do model analysis. •Able to do coupled thermal structural analysis. •Able to understand the practical approach of ANSYS workbench solver through examples. 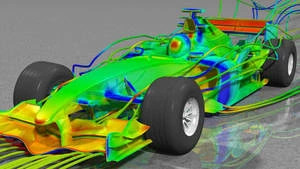 There is no need to know about ANSYS. Course training will covers all tasks.